Foxglove Estates features new homes for sale in Eagle, ID. The community offers larger homesites, relatively low HOA fees and accommodating CCR'S. Community water usage and common area maintenance is reduced with the use of drought-resistant plants and Xeriscaping. Home sizes start at 1,800 Sq. Ft. for single story homes and 2,200 Sq. Ft. for two story homes. RV garages allowed. Foxglove Estates real estate is close to shopping, schools, and Eagle Island State Park. 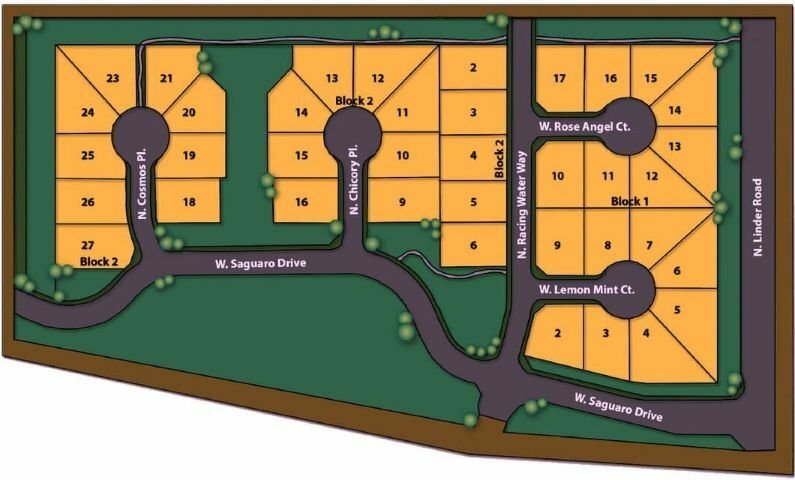 Building Lots for Sale: This 16.31-acre community offers 38 building lots ranging in size from 0.19 acres (8,276 Sq. Ft.) up to 0.28 acres (12,200 Sq. Ft.). Browse all new homes in Eagle or find your perfect community with our complete guide to new subdivisions in Eagle ID. Builder: Bring Your Own Builder (select building lots). From N Linder Rd and W State St head North on Linder. Turn left (west) on W Saguaro Dr to the Foxglove Estates subdivision.